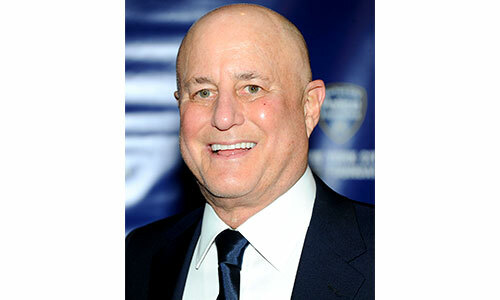 Ronald Owen Perelman is an American entrepreneur with a golden touch. The 69th Richest Man In The World, Perelman’s success secret is investing in a variety of businesses. Through his investment firm MacAndrews & Forbes Holdings Inc., he has stakes in several companies including those selling licorice, vehicles, makeup, television, photography, camping supplies, security, lottery, jewelry, banks, groceries, cigars and even comic book publication houses. Ronald Perelman started working with his father Raymond at a very young age. But as Ronald grew in confidence and experience, he expected to one day takeover from his father as president of the family business. When Raymond refused to step down, Ronald Perelman decided to quit to forge his own fortune. Father and son were not on speaking terms for the next six years. Perelman Spouse(s) – Faith Golding (1965–1984), Claudia Cohen (1985–1994), Patricia Duff (1995–1996), Ellen Barkin (2000–2006), Anna Chapman (2010–present). Perelman was married five times. Perelman met his first wife Faith Golding in 1965 during a trip to Israel. She came from a very successful real estate family and was worth about $100 million at the time of their wedding. 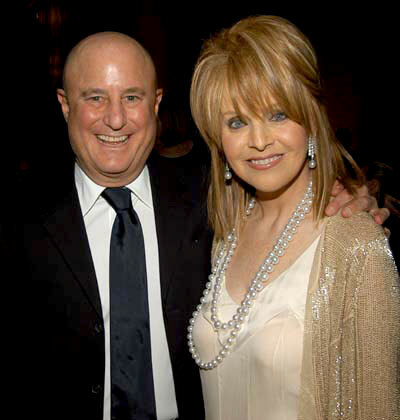 Perelman and Faith had four children before they divorced in 1984. Perelman met his second wife, Claudia Cohen, in 1984. They had a daughter together, Samantha, in 1990. By 1994 the couple had split and Claudia was awarded over $80 million in alimony. Patricia and Perelman encountered in a Paris hotel lobby when they were both still married- Perelman to Cohen, and Duff to Mike Medavoy. After Duff separated from Medavoy, she wed Perelman, on the January 25, 1995. They had one daughter Caleign. Perelman saw his fourth wife, actress Ellen Barkin, at a Pride Fair Oscar after-party in 1999. After being engaged for over a year, the two married in June 2000. But their stormy marriage ended five years later. Perelman started courting psychiatrist Dr. Anna Chapman in2006. Following August, the couple announced they were having a baby, her first and his seventh through a surrogate. In October 2010, they got married. Chapman had converted to Judaism. In November 2010, the couple celebrated the birth of their first child, Oscar. Their second child was born in May 2012. Perelman Siblings – Not much information is available on his siblings. Perelman’s varied business interest netted him a cool $14.3 billion dollars in wealth. He was even recognized as the 26th Richest American in 2012. The tycoon entrepreneur has properties all over America including a luxurious estate “The Creeks” in Georgica pond worth $12.5 million, an extravagant land in the “Harbour Island”, two yachts, two secluded jets and a helicopter. The wealthy financier loves to holiday in Saint Barth Island. He is also an equally generous philanthropist. He founded the “Revlon/UCLA Women’s Cancer Research Program” and aided many Jewish causes and medical organizations to the tune of $200 million. A shrewd businessman Ronald Perelman’s life exemplifies not just the ways to make money but also how to spend it wisely for charity.